Nine people have died in Paris on Tuesday morning when a huge fire ripped through an apartment block in a suspected “criminal” act. In an eight-storey building on rue Erlanger, in the city’s 16th arrondissement. Thirty-seven people, including six firefighters, were injured. One of the wounded has been described as an “absolute emergency” by the city’s Fire Brigade revealed, meaning the injury is life-threatening. 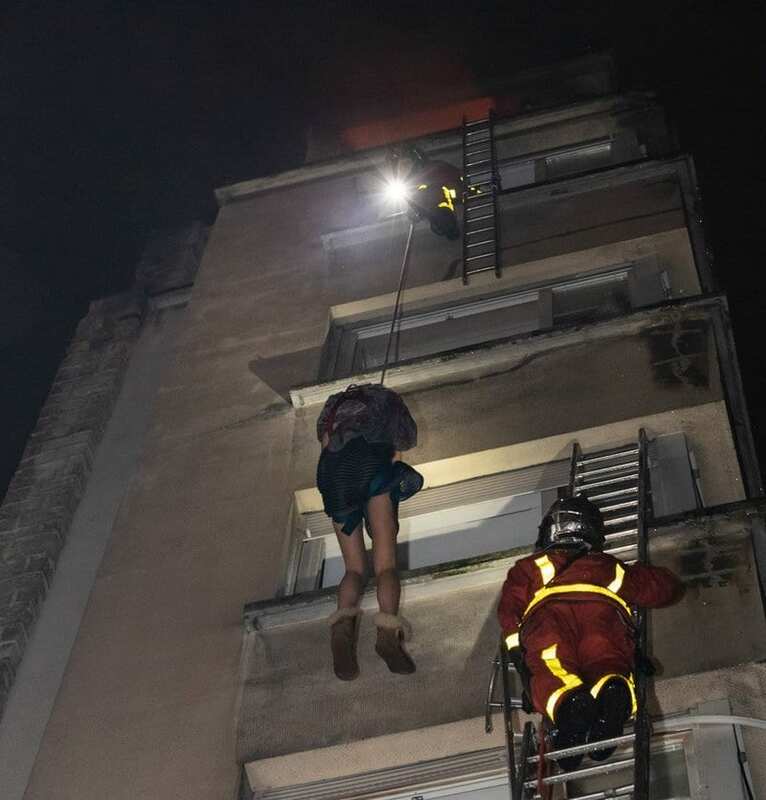 The fire started around 1AM (12.00 am GMT) on the upper floors of an eight-storey building on rue Erlanger, in the city’s 16th arrondissement. Residents of the tower block, could be seen next to their windows for help, were rescued with hand and hook ladders. Some even attempted to climb out in a mad panic as the blaze grew. About 250 firefighters were deployed to tackle the blaze, with more on standby if needed, who managed to contain the fire at around 8.00 am (7.00 GMT). “France awakens with emotion following the fire rue Erlanger in Paris last night,” he added on Twitter. More to follow as the investigation into the criminal act begins.